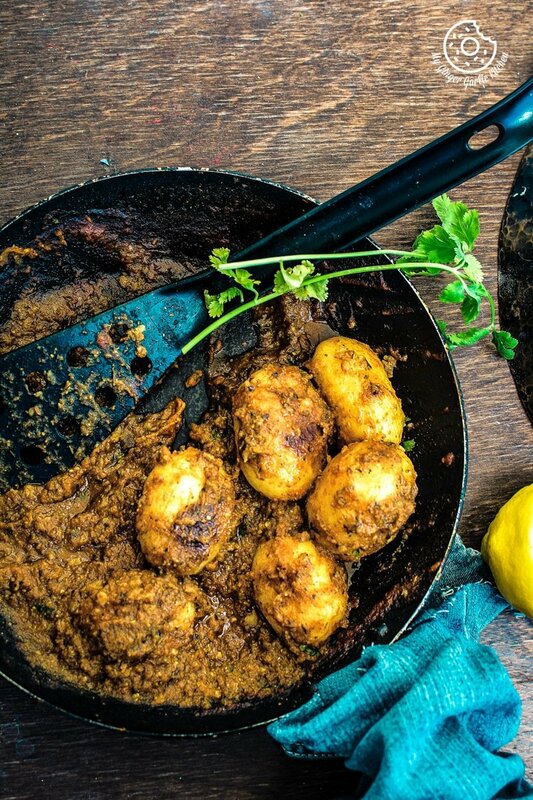 Learn to make Lehsuni Dum Aloo | Spicy Garlicky Potatoes curry with a simple step-by-step video tutorial. The potatoes are generally pricked with the help of a fork, boiled in salted water, peeled and then they are deep fried or shallow fried till they are golden brown. (दम आलू) Dum Aloo aka Alu Dum or Dam Aloo is an Indian curry which originated from the snowy mountains of the Indian state of Jammu and Kashmir. 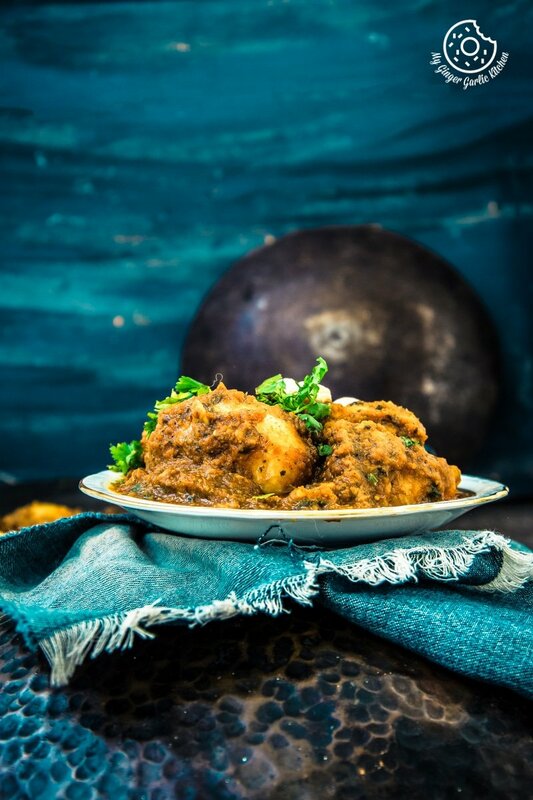 And the most famous Dum aloo recipe is known as ‘Kashmiri Dum Aloo’. India is a country where vegetarianism ranks quite high and potato dishes are quite famous amongst vegetarian people. But that’s not all true because I assume potatoes are loved by everyone no matter who you are — a meat lover or a veggie lover. How do You make Dum Aloo? 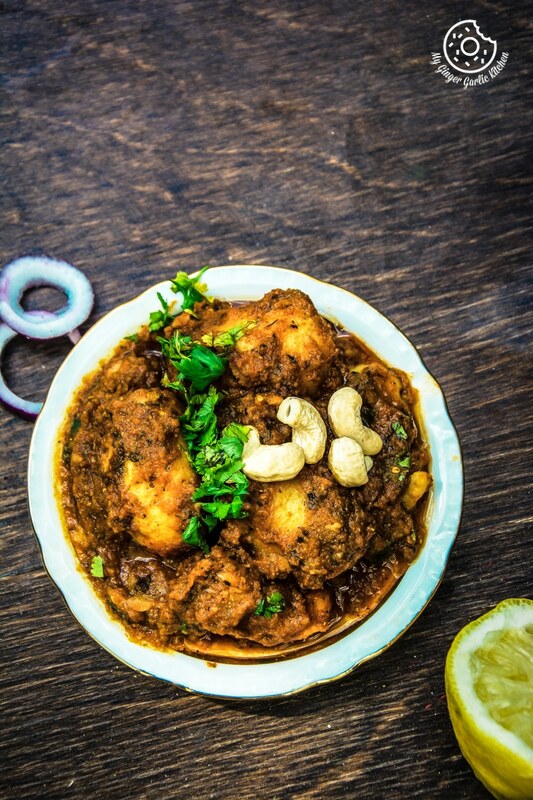 Dum Aloo is a very popular recipe cooked throughout India, and there are many versions of this dish ‘Dum Aloo’. 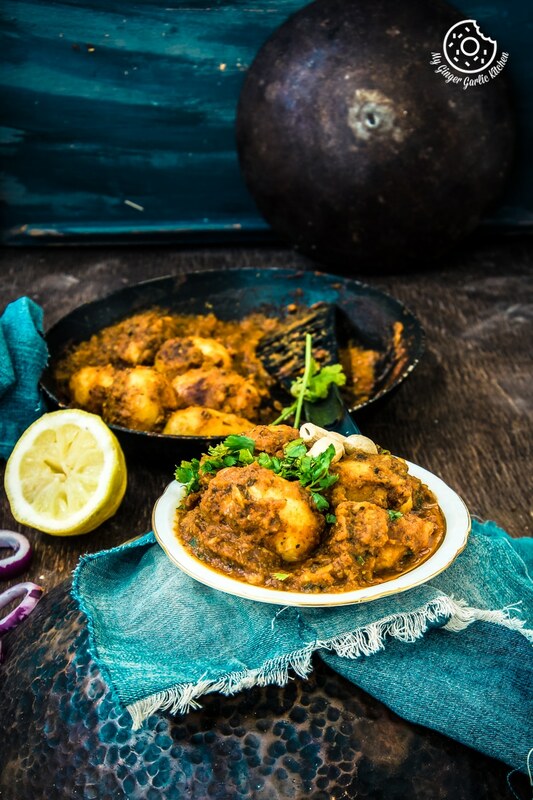 The most common thing in all the Dum Aloo recipes is the use of boiled and peeled baby potatoes. However, some people like to use the potatoes with skin. I also use the unpeeled potatoes in some of my recipes. Make sure to wash them properly, if you are going to use them with skin. The potatoes are generally pricked with the help of a fork, boiled in salted water, peeled and then they are deep fried or shallow fried till they are golden brown. After that process, they are cooked in the spicy sauce at low heat so the potatoes can absorb all the spices. Why this dish is called Lehsuni Dum Aloo? 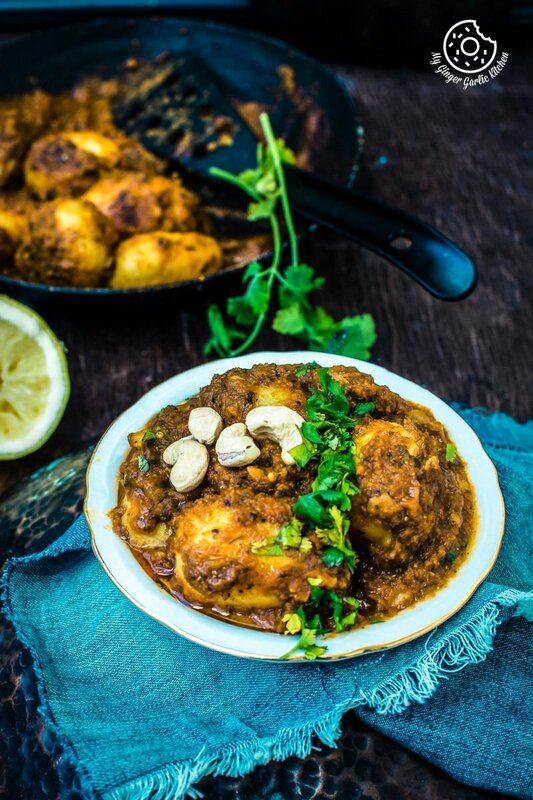 This Lehsuni Dum aloo is similar to a Gujarati dish called ‘Lasaniya Batata’ and the literal translation is ‘Garlic Potatoes’. Lehsuni Dum Aloo is a delicious potato preparation that’s bursting with distinct garlicky flavors. The shallow fried potatoes are cooked with a flavorsome paste of garlic, tomatoes, chili and coriander. And the addition of Kasuri methi (dried fenugreek leaves) is just icing on the cake. It sharpens the rich garlicky flavor even further. This garlicky flavored, hot, spicy and delectable curry would along with any flat bread or rice. It would definitely make your palate desirable, which would be quite an experience of its kind. How do you serve Lehsuni Dum Aloo? This curry is hot due to the dried red chilies, but if you if prefer it less spicy then just add only one dried chili. However, if you can tolerate the fiery hot taste of red chilies, then I would totally suggest you try the recipe the exact way I mentioned. 1. Heat a pan and dry roast dried red chilies and coriander seeds. 2. Let them cool down a bit and transfer them to a blender along with tomatoes and garlic cloves. 4. Heat oil in a nonstick saucepan, and shallow fry potatoes on a medium heat till they turn golden in colour. 5. Transfer them to a plate and set aside. 6. In the same oil add cumin seeds. 7. As cumin seeds start to crackle add kasuri methi and sauté for 30 seconds. 8. Add prepared paste and stir well. Let it cook for 2 minutes. 9. Add turmeric powder, kashmiri red chili powder, salt and mix well. 10. Now add shallow fried potatoes and mix gently. 11. Reduce the heat to medium-low and add 1/4 cup of water. 12. Cover and cook for about 7-8 minutes. Keep checking it occasionally to make sure it doesn’t stick to the bottom. Add more water, if needed. 13. 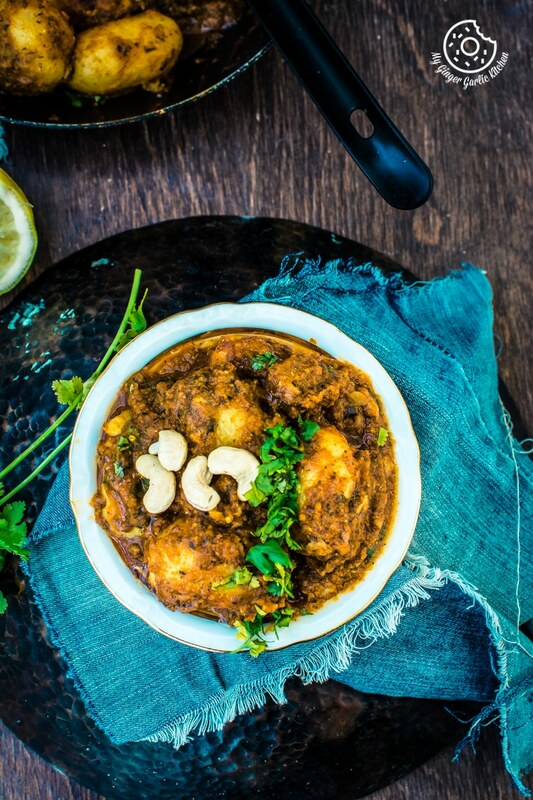 Garnish with coriander leaves and cashews and serve hot with paratha, naan or rice.